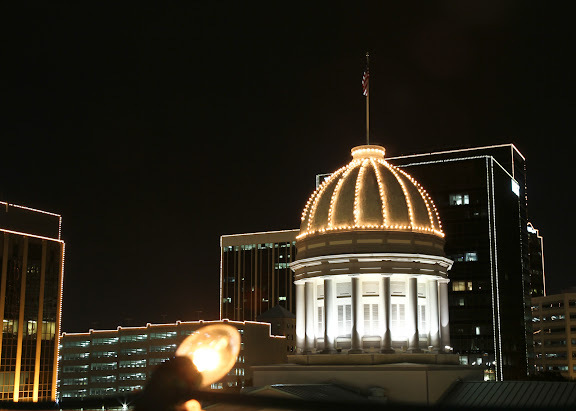 The dome of the General Douglas MacArthur Memorial is decorated with holiday lights and framed by the City's modern skyline. Built in 1850 this Classical Revival structure is the work of Norfolk architect William Singleton consulting with Thomas U. Walter, famed architect of the central dome of the U.S. Capitol building. Canon 7D, 1/3 sec @ f/8.0, ISO 200.